You must make reservations at least 5 minutes in advance of the time at Ceviche's. Parking available on both sides of the restaurant. 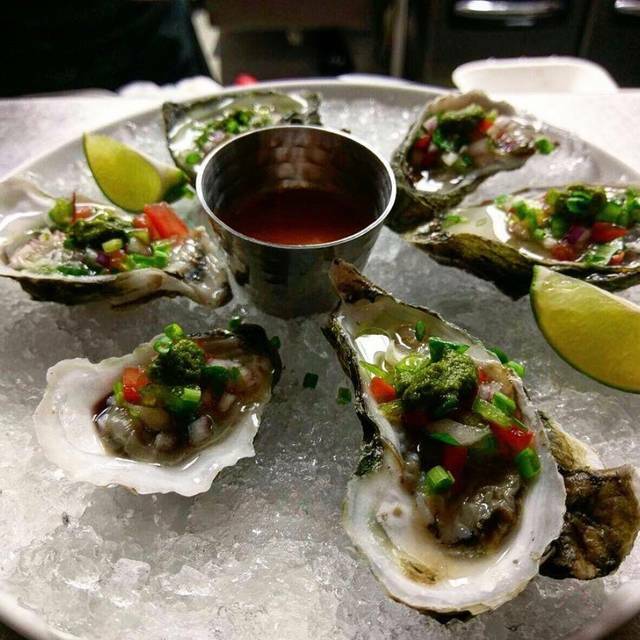 A popular dish made of raw fish or shellfish, marinated in fresh squeezed lime or lemon juice often with tropical fruit, oil, onions, peppers, and seasonings. Ceviche is a seafood dish that derived from the coastal regions of Latin America and the Caribbean. Served chilled as an appetizer or main entree. It is absolutely delicious, healthy, and refreshing! "Inspired By My Upbringing In Panama, Central America - Fishing With My Dad In Both The Pacific And Atlantic Oceans, Picking Fresh Mangos At The Bus Stop For Breakfast & Epic Surfing Trips (I Vividly Remember My First Barrel). 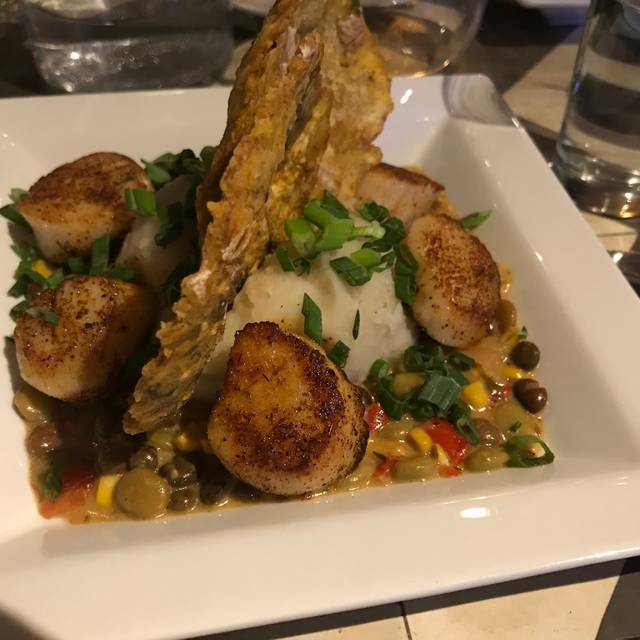 I Wanted To Bring That Feeling To Wrightsville Beach With A Staple In The Panamanian Diet, Ceviche, Tropical Fruit, Plantains, Etc.." - Hunter Tiblier, Owner. So good. So fresh. Great atmosphere. Wonderful dining experience! Our server was attentive, the food was amazing, and the atmosphere warants repeat visits. Food is delicious... drinks very creative. Service is even better than the food. Gluten free options too . Love sitting outside. Atmosphere is just so enjoyable. Been here a few times... plan to become regulars! A very unique place among typical coastal restaurants, offering very tasty homemade authentic Latin foods. 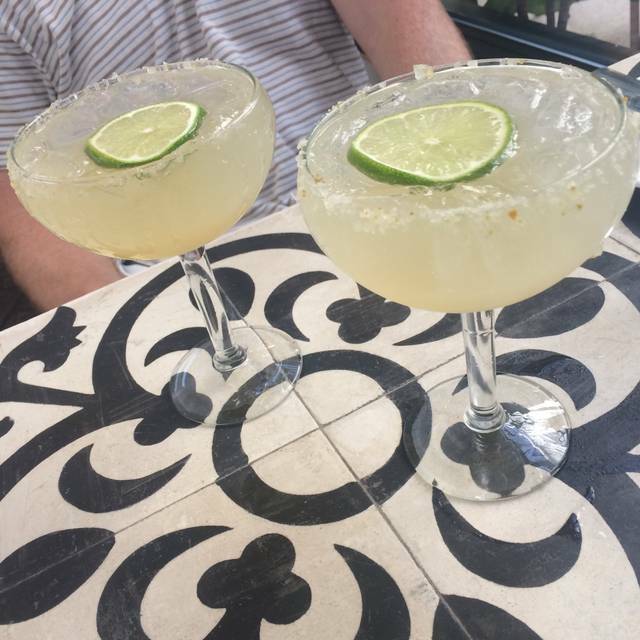 My husband and I visited to celebrate our anniversary. The server was prompt and very personable. Our dinner was amazing. We had the trigger fish entree and ceviche. My only regret is not ordering dessert, but we were so full from our delicious meal. It was not our first visit and definitely won’t be our last! Overall a terrific experience and new taste levels. Unfortunately, there was an incredibly long, dark hair intertwined in our food that evening. Both myself and my dining partner have short, blonde hair. I brought the hair to the attention of the staff prior to leaving. The food, staff, and service was excellent. I would definitely recommend this place because I feel that drawing the hair to the attention of the staff was sufficient to prevent any further incidences. It was my birthday, we had a great meal! Our server was excellent. She was helpful with wine choices (it was half off bottles) and food choices. Everything was delicious, fresh and well prepared. Our server pushed a little for me to get the birthday churros, we were so glad she did! Wonderful experience, will be back. Always Fantactic food, gets a little noisy when full as a small dinning area. A little pricing compared to the competition. Usually very happy here but found this meal wanting. Margueritas were good tho!! Service was good and friendly. Always enjoy a dinner at Ceviche's. Great food, great service at a reasonable price! Had an 8:45 reservation. Arrived early and were seated early. Very accommodating. Friendly staff. Great food. The food was incredibly fresh and delicious. This was our first time here and it was fantastic. Food was excellent. We were at Ceviche's for lunch, not very busy. Service was very good, except for trying to remove our plates when we were not yet ready. I've been many times to Ceviche's and I will certainly recommend this place. If you go on busy hours, make a reservation. Thoroughly impressed with the restaurant! I live in Sneads Ferry but always make my best effort to visit the venue when I'm in the Wrightsville/Wilmington area. For starters, the ambiance of the restaurant is fantastic. Not to dark, not too bright, and there's no loud music or any other overwhelming ambient noise, so you can comfortably hold a conversation with your fellow dinners. The food is amazing, and you really can't ask for a better price! I usually go for Tuna Poke Lettuce Wraps to start, the Ropa Vieja for my entree, and the Churro holes as a finisher. The Tuna wraps are always fresh and the Rota Vieja packs a tender and flavorful helping of meat. The only critique I'd have is the relatively small beer list, but overall Ceviche's is the best restaurant in town! Our server, Sarah, was wonderful. There were allergies and she was most accommodating to check with the kitchen more than once. The coconut shrimp were very good, but the sauce came out of a bottle. 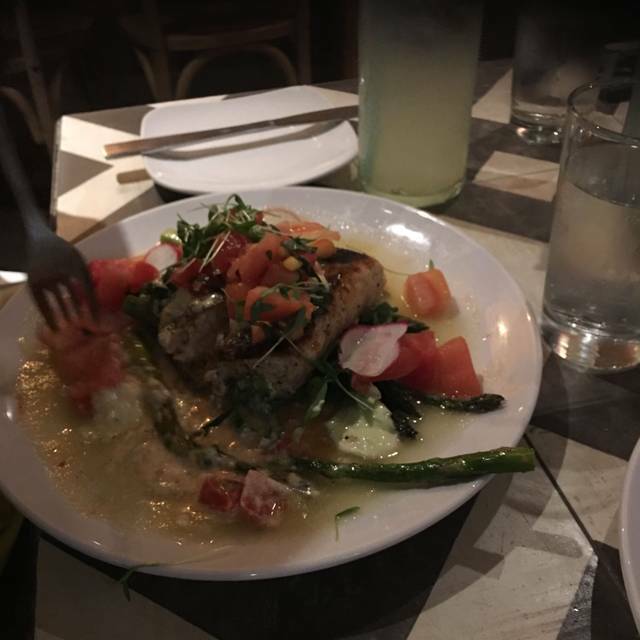 My husband liked his Bistec Picado but the Corvina a la Plancha was dry with very little sauce and the fish was quite oily. I would not order it again, however make sure that you have a Panamahattan...totally blew me away. Truly a delicious drink, that I will be back for!!!! Brought out of town family to Ceviche's last Saturday night. We had their coconut shrimp and brussels to start. I have had better of both, but they are still good although the brussels seemed to be a little too oily for my taste. I had their scallop entre and they were cooked perfectly, great dish. The other two guests had their tuna and sea bass entrees and they were very happy with their choices. It was only my 2nd visit and I will be back to work my way through the menu. Highly recommend. Absolutely delicious food. Very creative, incredible dishes. The ceviche is all fabulous, the entrees are spectacular, the drinks are fantastic. Our server was amazing. The food was very tasty. We tried multiple things and enjoyed all of them. The ropa was very good. And the arroz con Pollo was also flavorful. The curried cauliflower empanada was by far our favorite thing. I did order the guac sampler. And I wanted to love it. But it was okay. It wasn't bad. But nothing really spectacular about it. The tortilla chips that it came with were a bit more hard than I like. But the flavor was okay. The Panama Painkiller was pretty good. But the mojito was kind of bland. Mostly all I could taste there was the seltzer water. Unless the mint leaf got close to the rim when I took a sip. Then I could smell the mint which helped. We spent over $100 for 2 adults. And I keep telling myself it was worth it. But in hind sight a few days later, I realize that I wanted to love it more than I actually did. Like I said the food was tasty. But I can make ropa that actually tastes better at home. 🤷‍♂️. It was also very crowded. We were sat at a very tiny table, very close to the next table of 6 women. And they were very obnoxious. Kind of ruined the date vibe we were hoping for. Excellent food and service. Front room is a little noisy, request one of the back rooms for a quieter experience. 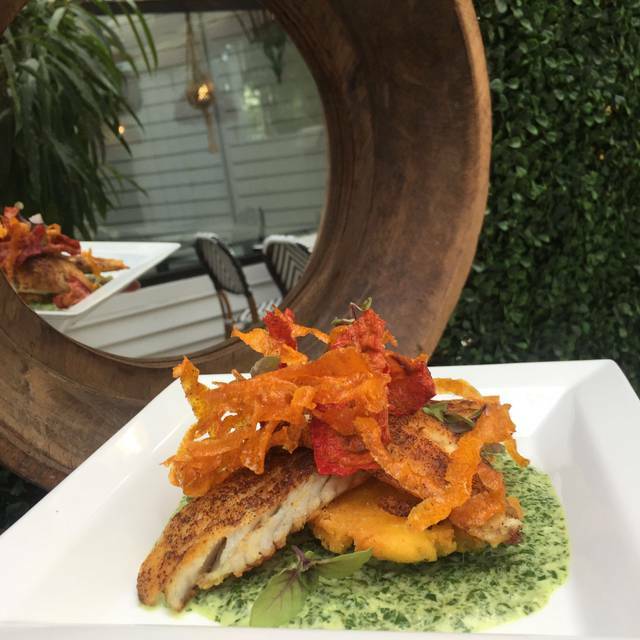 We have been visitors to Wilmington for two months, and this restaurant was one of our best dining experiences. Try the ceviche sampler to start - outstanding. I’m only sad that we found it during our last week, because we would have returned one or twice. Wednesday is half-priced wine night. We share 3 different starters, a main course and dessert. Every dish was excellent. Excellent food especially the special Wednesday was wine special night with 1/2 price bottles of wine. It is always loud due to the small size. Not too crowded on Wednesday night . Not only different cuisine but really good. Always great. 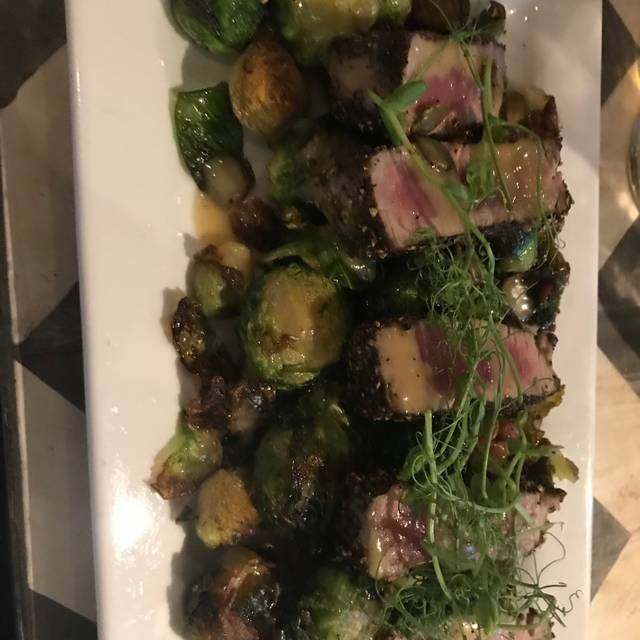 The tuna with roasted brussels sprouts was exceptional and no high carbohydrate ingredients. Always a favorite! 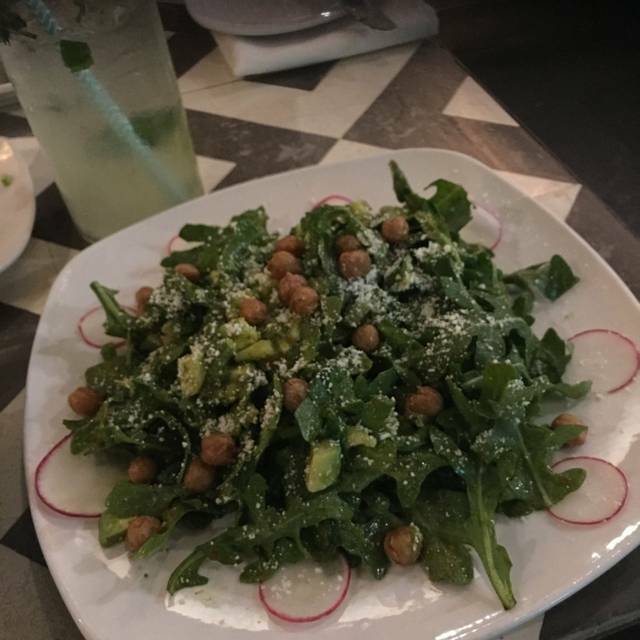 One of the top places for healthy and creative cuisine. Soft shell crabs were super. Thanks for so many gluten-free choices! Very good food, very nice experience and very nice restaurant! We will be back! First time visiting. 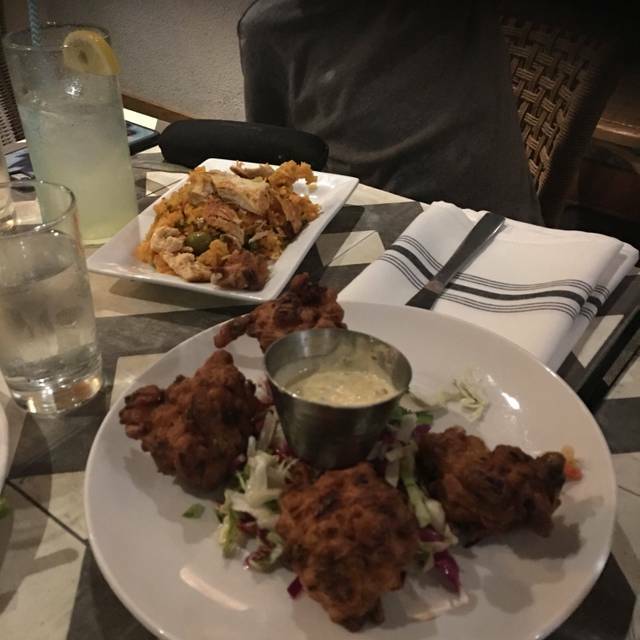 The food and drinks was very good and service was excellent. A reservation is highly recommended. Nicely located near Wrightsville beach. We heard it was on the food show "diners, drive-ins, and dives so we had a good recommendation from that. When we entered, it had a nice small vibe and great lighting. As I looked at my menu it looked great, was even having trouble picking something because everything sounded good. I notice the restaurants average plate price is around 16-25 bucks a plate which is not too bad. Since the restaurant is called Ceviche's I decided to get that as my entree. They have two portion sizes, large or small. I went with the large thinking the small might be too little. When the entree came out I could not believe how tiny it was. It was literally served in a bowl I use every morning for my oatmeal. The plate had no decoration to it at all and the food was absolutely tasteless. The service was great though. All in all save your money and go somewhere else. Cuban ribs were tough and dry. The scallops were great. Service was great. I love the food here, but you'll pay dearly for it. This is why I visit only rarely. A meal for 4 was over $200 with a 20 percent tip. Ouch. Ambiance is a bit lacking for such high priced food. However, the dishes are always fresh and delish. food is excellently prepared, great flavors, very fresh; service is top shelf; prices are up there...not a place I can afford to dine at regularly. It was my girlfriend and I Thursday night “Date night”. Our ceviche was very nice. It could have used a bit of salt. There was no salt on any of the tables that I could see. My wife and I each ordered one of the specials. Mine was blackened wahoo, hers a grilled skewered shrimp. Both tastefully prepared and seasoned nicely. The owner made his rounds and we had a pleasant conversation. 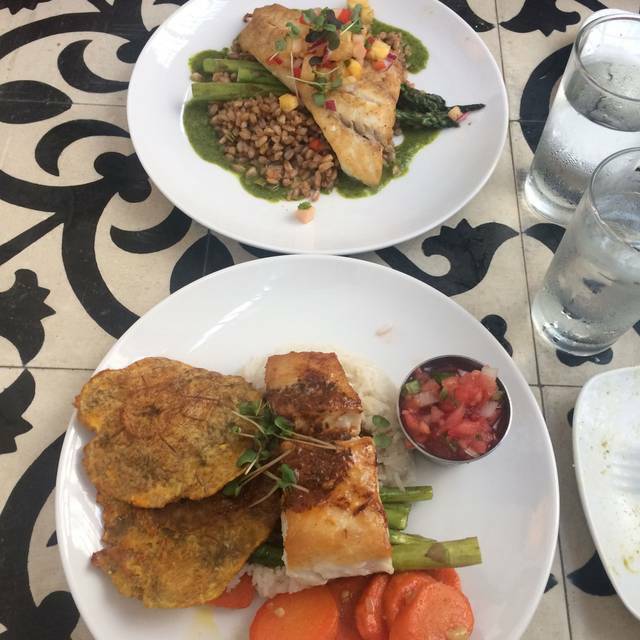 The pan-am and Latin flavors made for a very clean and appetizing meal. Coffee excellent!! No problem and we plan to return. My wife and I had a wonderful evening at Ceviche's. We let the server, Colby, select our food choices. Not only did she provide an excellent meal, the choices were unique and delightful.